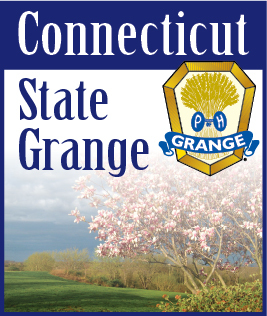 For those of you who are computer savvy and want to know where a local Grange is located, you only need to visit “m.ctstategrange.org” - the Connecticut State Grange Mobile Website. Our mobile website has been available since late 2010 and was designed for use on computers, smartphones and mobile devices. Once on the mobile site, by going to “Find A Grange.” By going down to “List All Granges” there are three selection buttons. For example, by selecting “Granges by Name,” will bring up a list of all the CT Granges. Selecting one of the listed Granges brings up an information page. The Grange information page shows basic information about that Grange and a selection button below for “Map & Directions.” Selecting that button brings up Google Maps and the GPS location of that Grange or Grange Hall. From there you can plan your trip to that Grange.